Improvising With Water: Tomoko Sauvage And M.C. 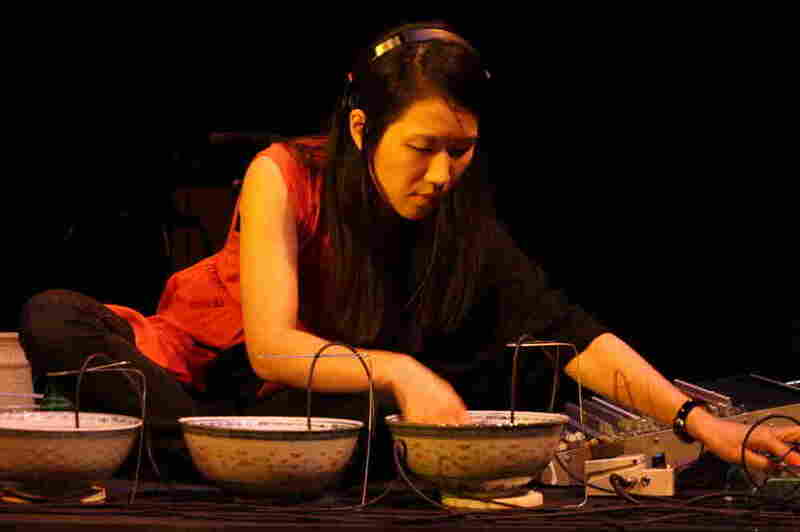 Schmidt In Concert : A Blog Supreme Surrounded by porcelain bowls, a mixer, effects pedals and bottles of Perrier, we sat rapt with curiosity as Tomoko Sauvage manipulated the movement of water at the High Zero Festival. 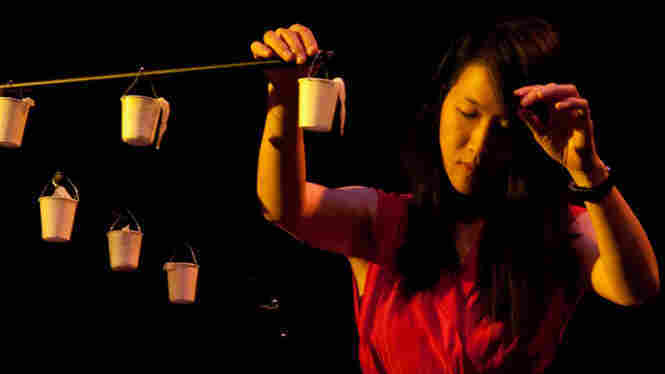 Tomoko Sauvage performs on porcelain bowls at the High Zero Festival. Surrounded by porcelain bowls, a mixer, effects pedals and bottles of Perrier, we sat rapt with curiosity as Tomoko Sauvage took the stage of the Theatre Project with Matmos member M.C. Schmidt. Sauvage poured carbonated water into the bowl closest to her, and she manipulated and looped the movements of the water itself, accented by the tranquil clinks of porcelain. Suspended above her mic stands were paper cups filled with water. It's a water dripping system with cotton thread periodically releasing drips into the bowls below. It was an elegant (and more palatable) solution to John Cage's chance operations, responding to random droplets with loops and delays through a mixer. 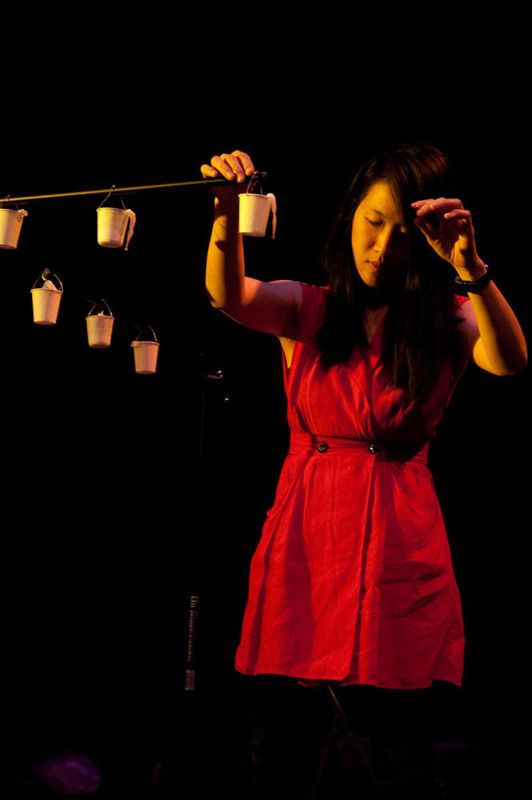 Tomoko Sauvage manipulates water droplets through effects pedals at the High Zero Festival. 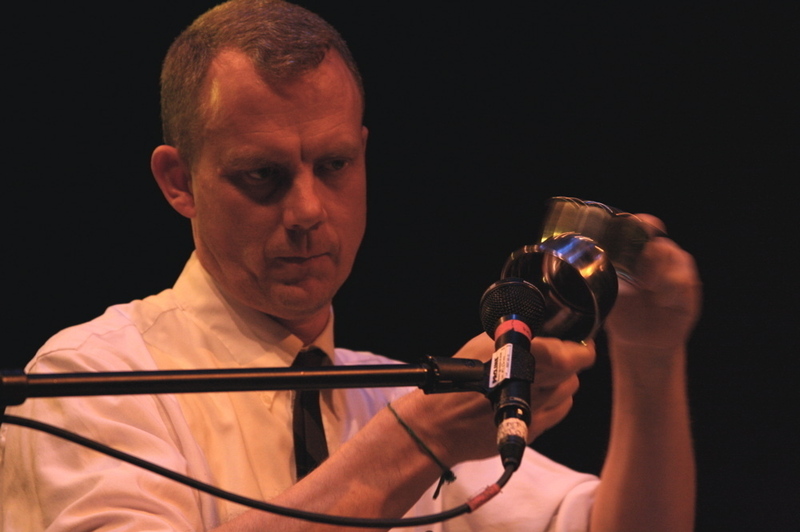 For Schmidt's part, he spent the first half of the duo's improvisation clinking metal cups against the theater's railing, which you can faintly hear in the recording above. 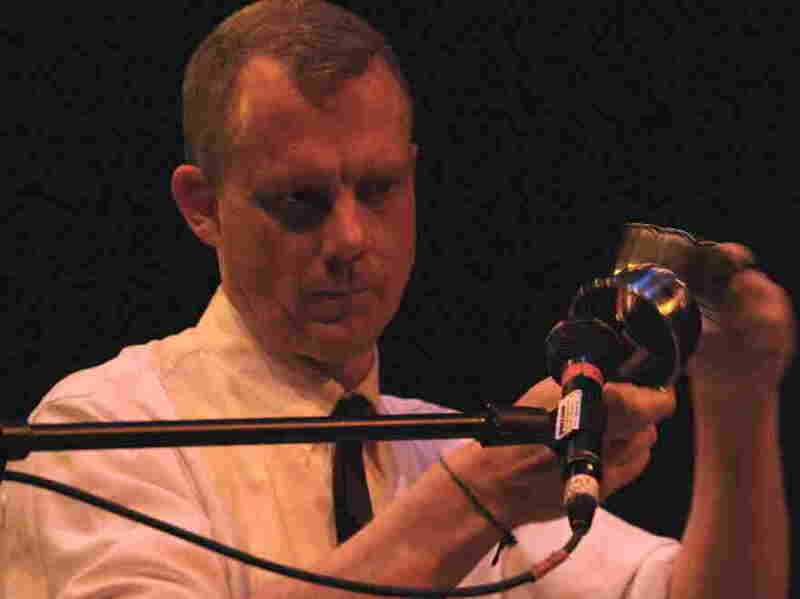 When the Matmos member returned to the stage, he slurped Yuengling beer, which added a bit of comic relief to the very New Age-y proceedings. But his was never a vulgar response to his aquatic partner. His best touches came in washed-over synths, bringing to mind German ambient masters Cluster. I could have listened to this set all night. M.C. Schmidt performs at the High Zero Festival.